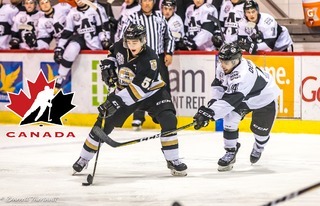 The Charlottetown Islanders kick off their third Quebec road trip of the season tonight, as they take on the Quebec Remparts from Quebec City at 8:00pm Atlantic. 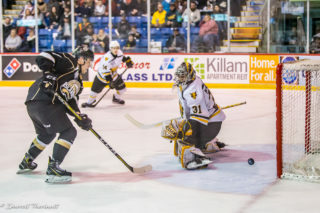 The Islanders (25-12-2-2) have lost three straight games, and will look to right the ship against a Remparts team that they defeated 3-1 back on December 6th in Charlottetown. They’ve had great success in Quebec City over the past four years, winning all four regular season matchups at the Videotron Centre. 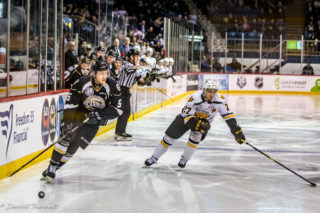 The last time the Islanders visited Quebec City was in the memorable Game 7 matchup from the first round of the 2018 QMJHL playoffs, where the Islanders scored four straight goals in the opening four minutes of the third period en route to an 8-3 victory and a berth in the second round. One player who has certainly enjoyed playing the Remparts is Daniel Hardie. Hardie racked up 8 points in 7 playoff games against Quebec last season, and continued that success with two goals in their matchup earlier this season. Overall, Hardie leads the Islanders with 49 points in 41 games so far this season. 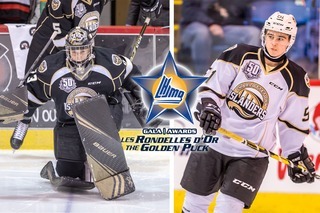 His 27 goals are good for fifth among all QMJHL players. The Islanders’ much-maligned powerplay has steadily improved in the second half of the season. At one point sitting dead last in the league in powerplay goals converted, the Islanders now sit 14th at 17.4%. They’ve registered a powerplay goal in five straight games, making good on 7 of 18 opportunities in that stretch. Lukas Cormier has been a catalyst with the man advantage, scoring four of those goals and assisting on another. Matthew Welsh will get the start tonight, making his sixth straight start between the pipes for Charlottetown. The workhorse in goal has had a rough couple of outings, allowing four or more goals in each of the three losses last week, but will have a great opportunity to rebound against a Remparts team that he took a big win against in December, making 34 saves in that victory. The Remparts (19-15-4-5) made headlines this week as they completed a postponed game against the Gatineau Olympiques on Monday, a game the inevitably won 4-2. Defenseman Pier-Olivier Lacombe, acquired from Gatineau at the trade deadline, made history as the first player in QMJHL history to suit up for both teams in the same game; he was a member of the Olympiques on November 4th when the game was postponed following a power outage at the rink, then finished the game on Monday as a member of the Remparts. Lacombe is one of a number of new faces that will be in the lineup for Quebec since they last played the Islanders. 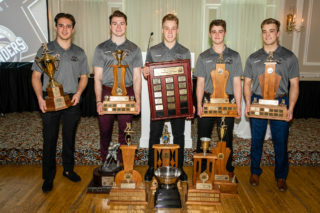 Gone are the likes of captain Benjamin Gagne, Olivier Mathieu, Christian Huntley, and Dereck Baribeau; the former core of the Remparts were shipped out in separate deals at the Christmas trading period. In their place sit a healthy mix of young talent and veteran presences, such as Lacombe, Edouard St-Laurent, and Kyle Jessiman. Swiss superstar Philipp Kurashev leads the way offensively for the Remparts. A star for Switzerland during their improbable run to the bronze medal game at the 2019 World Junior Championships, the Chicago Blackhawks prospect has 18 goals and 43 points in 36 games this season, well on his way to breaking his career-high of 60 established last season. Don’t forget, as always you can catch tonight’s road game on Fair Isle Ford Isles Radio with George Matthews! Click HERE to tune in to all of the action tonight at 8:00pm Atlantic!